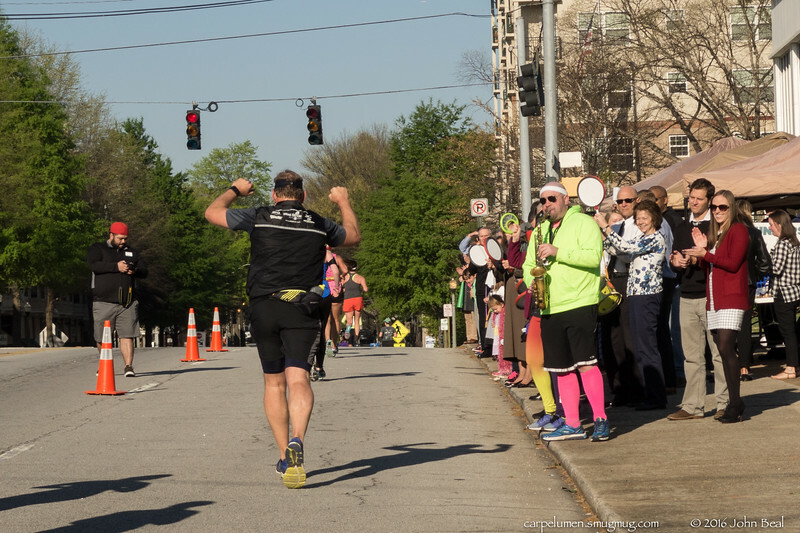 vernal equinox, palm sunday, atlanta marathon. downtown decatur is the halfway point. this shot is about 2.5 hrs into the run (i suppose the race portion is over about this same time for the elite runners). the saxophonist is play the theme from 'Rocky', and the runner is responding appropriately.